Whether you want to view spectacular scenery of Norwegian fjords, sample the culture of Norway's cities and coastal villages, or experience crossing the Arctic Circle, this could be a great year to visit Norway. 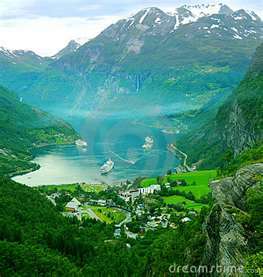 Cruise Norway is forecasting at least 2.4 million visitors in 2012, a forecast that reflects a 30 percent increase from 2011. The season stared in February with six winter cruises from the United Kingdom, making a total of 40 calls at Norwegian ports in February and March. This year, the port of Bergen will have the most calls with 334; followed by Geiranger 199, Oslo, 176; Stavanger, 166; Flåm 150, North Cape, 111; and Ålesund and Tromso, 108. The biggest increase is coming from Royal Caribbean which will be calling 123 times in 2012, compared with 34 times in 2011. It appears that cruisers who have visited Mediterranean and other popular European ports are looking for new adventures and destinations to explore. In 2011, 151,000 of the passengers were Germans, while 115,000 were from the UK, as the second single largest market; followed by 46,000 from the U.S. 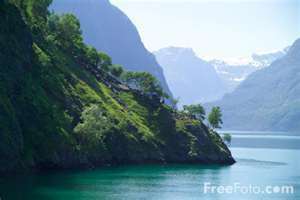 The average ship to the Fjords and North of Norway carried 1,326 passengers. This summer, both Oslo and Trondheim will serve as turnaround ports: Royal Caribbean will sail from Oslo, sourcing some passengers in Norway, and Pullmantur will be sailing from Trondheim with Spanish passengers. A variety of options are available from various cruise lines.